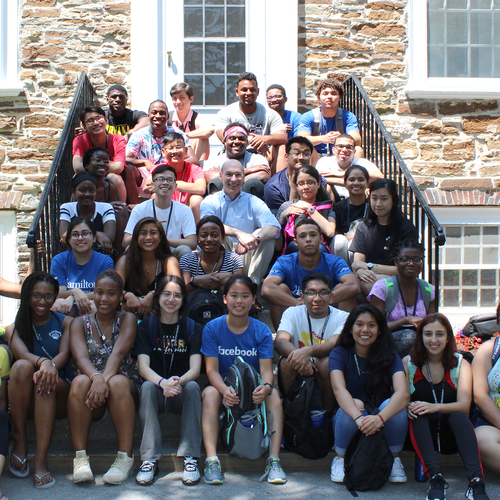 The five-week summer program introduces Hamilton College Opportunity Program students to college-level work and provides students with a strong academic foundation that facilitates a successful transition to college life. The program's focus is to help students create a sense of ownership, to ease transitions and to support the Hamilton curriculum with a well-rounded approach that makes success possible. 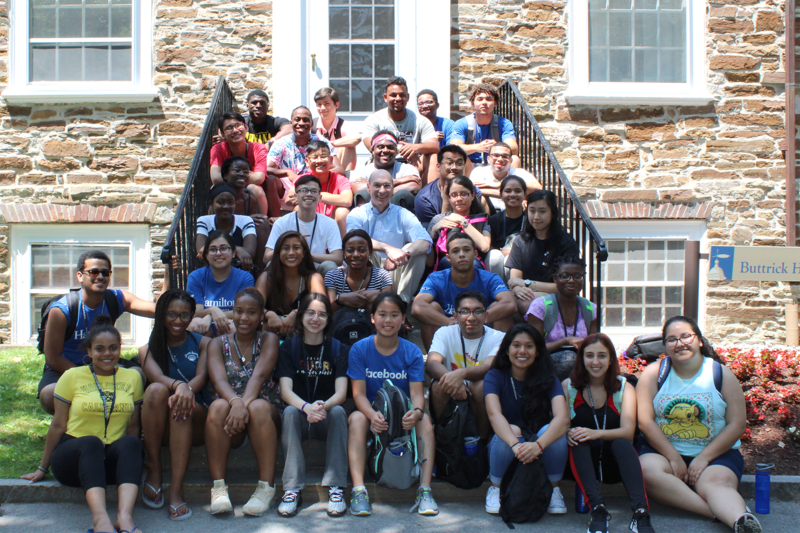 The Summer Program includes unique opportunities for Hamilton College Opportunity Program students to fulfill College graduation requirements in quantitative and symbolic reasoning and in physical education. The program also provides opportunities for enrichment, camaraderie and civic engagement through planned excursions that include art, fine dining, collective and community collaboration and team building. Students are introduced to course work that includes an emphasis on written and oral communication and critical reasoning. Courses include government, mathematics, philosophy, psychology and science. Additionally, the program exposes students to time management skills, research methods and library resources to assist in the development of a personalized routine for learning. At the conclusion of the summer program an academic-support profile is developed for each student. Students will be made aware of their reading speed and comprehension, critical skill and analysis abilities, vocabulary level, writing concerns and any area in which they require support or personal attention. The director then discusses the profile with students to increase their readiness for the fall semester. There is no cost to the student for participating in the program. I learned many things that influenced my education at Hamilton during the summer program. I learned that in college, you have to be more responsible and independent. You have to take care of your own homework and no one will push you to do it. But during this summer program, I also realized that I had support from the very beginning. I was part of a group of students who had access to faculty and staff members before classes even began. From the very beginning, HEOP has been the biggest support group I have had at Hamilton.